vital care in the Special Care Nursery. 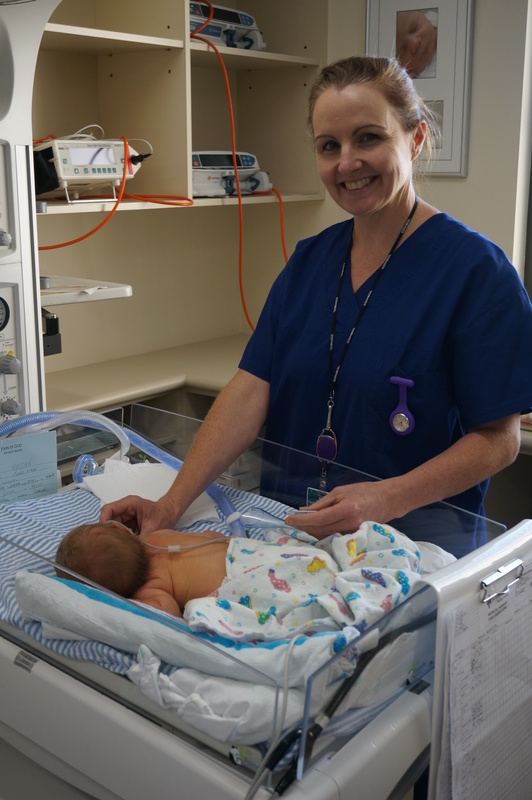 Neonatal Midwife Alison MacLean at St John of God Murdoch Hospital’s Maternity ward works closely with parents to prepare them to take their new baby home. “Having a new baby can be difficult enough without the added stress of your baby arriving earlier than expected or with health issues,” says Ms MacLean. “It’s a different and unexpected type of journey that lies ahead. for new parents of premature babies. “This can make them feel sad, frustrated and useless,” says Ms MacLean. Why can’t parents cuddle their baby whenever they want? Neonates, and especially premature or unwell ones, are easily overstimulated, and the smaller and sicker the baby, the less able he or she is able to handle excessive stimuli. A baby in a Special Care Nursery is already subjected to sensory overload in terms of noise and light, and then we add monitoring, nasal prongs, feeding tubes, blood tests, cannulas, nappy changes and reposititioning. It is important we reduce stimuli as much as possible to conserve the baby’s energy and enhance their development. We can do this by minimising the handling of the baby; by touching and moving the baby only when it’s really necessary and reducing noise where possible. How should parents touch their babies? Mindful touching is gentle, but firm handling of the baby. It soothes and quietens babies because they feel more secure; light uncertain touch (by a nervous parent or hurried nurse) often results in agitation and withdrawal. Placing the baby on the mother’s chest in direct contact with the skin and leaving them to sleep is an ideal way to encourage bonding and help stabilise their breathing and heart rate. Is that much sleep normal? can be reduced – speaking more quietly or having conversations away from the babies and lowering mobile phone ring tones. How can I tell if my baby is ok? Signs of a stable baby include stable heart and respiratory rate, regular pattern of respirations, good colour, feeding tolerance, relaxed tone or posture, sucking, clear sleep states and an ability to interact. Parents learn about their premature baby, his or her communication and how best to respond to their baby. Sessions also assist parents in recognising and managing their own stress, as well as their baby’s stress and provide support for the transition home. The intervention focuses on the importance of the early attachment relationships between parents and their babies. When babies are born prematurely, parents may sometimes not be as equipped to deal with the unexpected nature of the birth or the amount of medical intervention that is necessary, making it difficult for parents to make a connection with their baby. Care and Connect supports parents in caring for their baby in order to establish these early vital and healthy bonds.